← Will Drones Soon be Able to Map the World in 3D? Have you ever sat in your car, racing it over speed bumps (not that you do) or venturing over rough and rugged landscapes in an exciting off road adventure, only to realise afterwards that you’ve ruined your shock absorbers? It’s a nuisance isn’t it? 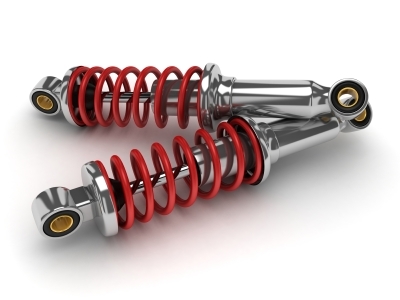 Not only does it cost you your hard earned money to fix but, even after your new shock absorbers have been fitted, there’s no improvement to the design- no way to prevent your driving habits from wearing down and ruining your suspension again; until now. As specialists in spring manufacturing, we like to keep keyed in to the engineering world for new and improved spring designs. Springs have been around for decades and, though they’ve worked wonders for us in the past, there’s always room for improvement. That improvement has come in the form of improved suspension. New, Improved System to Change the Face of Suspension! Abigail Carson, a 20-year-old mechanical engineering student from Lancaster University, has developed an improved method of suspension never before seen, according to The Engineer. Currently, if the damping system of a suspension design needs to increase, then it’s simply made longer and bigger. Though this system has worked in the past, it has meant that more space is needed to accommodate the suspension design. Carson’s design rectifies this problem. The 20-year-old’s new and improved design involves a series of interacting mobile and fixed pivoted components which will help in the damping of any suspension system whilst compressing the entire design. How Does Carson’s System Work? By delaying the compression and expansion, as well as including a stop mechanism, Carson has been able to potentially extend the life-span of current shock absorbers as well as reducing maintenance costs. That’s great news for you and your vehicle! That’s what we call a big improvement and just think of the possibilities! The design claims to suit any suspension system saving bikes, cars and the like around the world. After creating her design through a module on vibration isolation, Carson has set her sights on a career in Formula 1 with her design currently in a patent pending. Now that’s what we call a step forwards. There’s always room for improvement, no matter how old or how trusted a system may seem. Here at European Springs we’re constantly looking for ways to better our services so, while you’re waiting for Carson’s influential design to hit the markets, we can help you create custom springs for your individual projects. Contact us today on 0208 663 1800 or follow us on Facebook and Twitter for the latest in spring news!